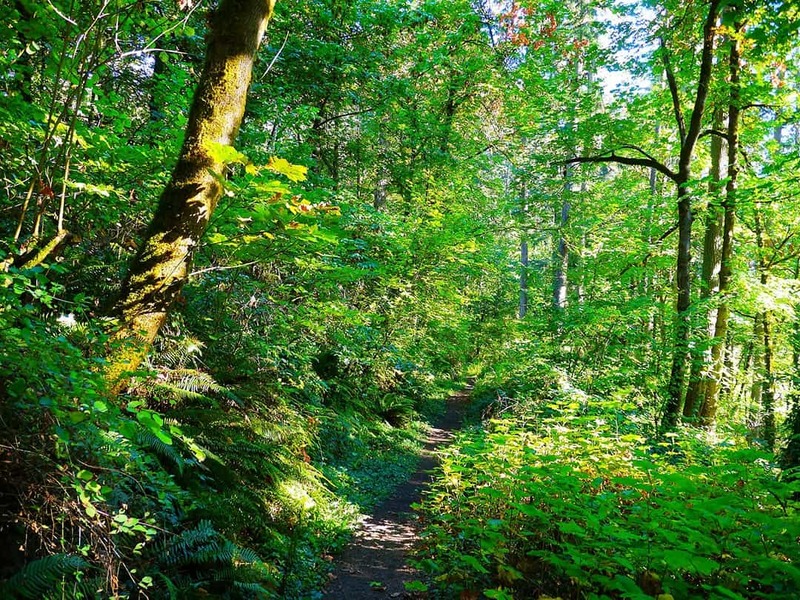 From downtown paths to Cascade mountain tops, Eugene is abound with awesome hikes. Mid-valley living has its perks. 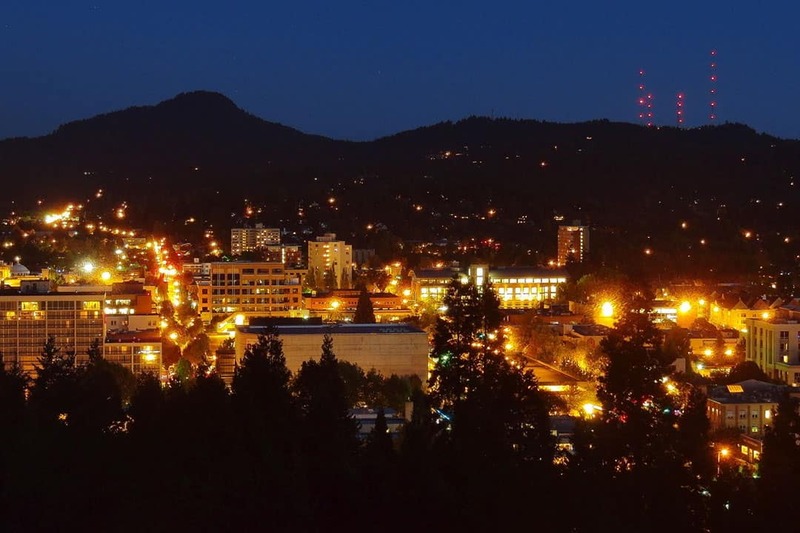 Eugene, Oregon is home to diverse wetlands, upland prairie, and is nestled between two extraordinary mountain ranges. There is a wealth of outdoor trails to explore. 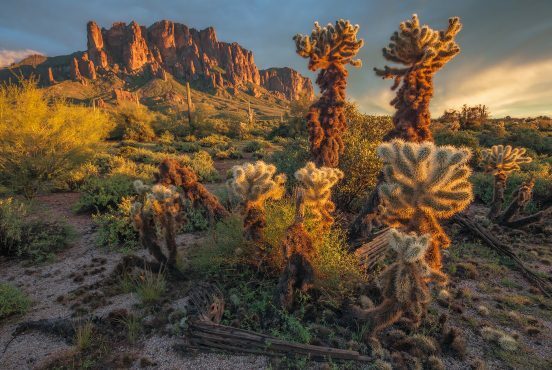 Those who like to stay near town have ample opportunity to explore flat valley paths and moderate climbs up the local buttes. More adventurous-minded folk can venture up into the volcanic Cascade Range and go peak bagging to their heart’s content. Each season in Eugene has its own unique feel. Springtime means foothill meadows are vibrant with wildflowers and the waterfalls are flush with snowmelt. Cool creeks make great summer swimming holes, and fresh winter snow turns every mountain into something magical. Whether you’re a local or visiting a friend at the University of Oregon there are endless outdoor options to explore. 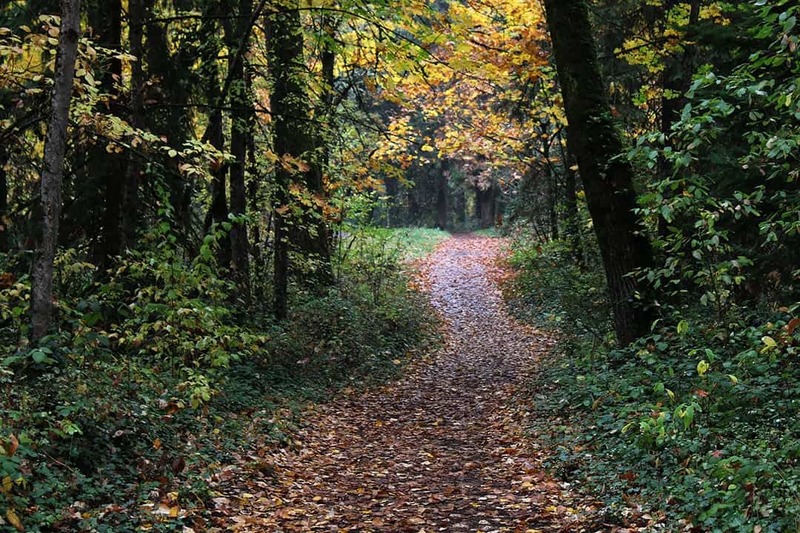 Here we’ve put together our favorite Eugene area hikes to help get you started. Why you should go: Sky-high views on the outskirts of the Emerald City. This is the first place I recommend to Eugene area newcomers. Spencer Butte stands high above the south end of town and offers an expansive view of the city below. 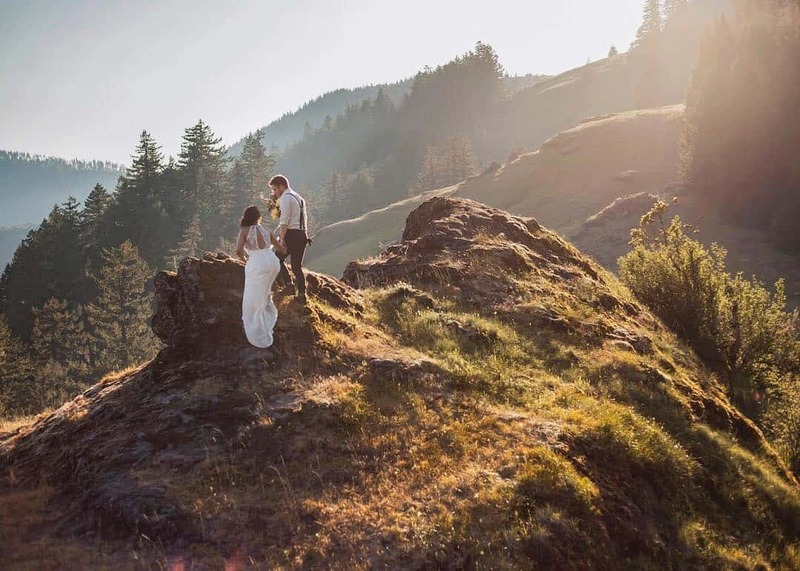 On a clear day your eyes can take in a large swath of the Willamette Valley and several prominent peaks of the Cascade Range. There are multiple hiking trails which lead to the summit. From the Spencer Butte Park Trailhead I recommend sticking with the Main Trail and its more gradual ascent to start your hike. Verdant stretches of long grass and reaching ferns rest below towering Douglas fir trees along the easy-going first stretch. The trail grade steepens as you climb higher. Upon reaching the first set of stone steps the surrounding forest opens up to sweeping views of the valley below. From here on expect stone staircases the rest of the way to Spencer Butte’s rocky summit. Claim a spot among the dispersed crowd at the top and enjoy the 360° views. Once you’ve satiated your wanderlust head down the steep, scrambling descent on the West Trail to complete the loop, or simply return down the stone steps from whence you came. Why you should go: Easily accessible trail overflowing with spring wildflowers. Eugene’s newest edition to its Ridgeline Trail System rises over the West Eugene Wetlands to the Bailee View Prairie. 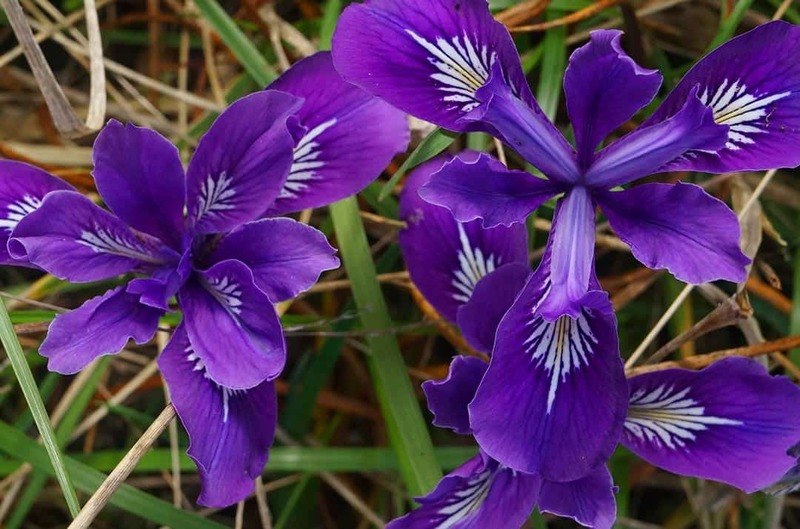 This 250 acre park can be enjoyed year round, but it shows its true colors in spring when wild iris overtakes the grassland. Though only minutes from downtown it’s easy to feel removed from the city among the oak trees and winding paths. Stick to the Ridge Trail for a direct route to the prairie overlook or wander around the many looping gravel tracks and dirt roads to forge your own path. 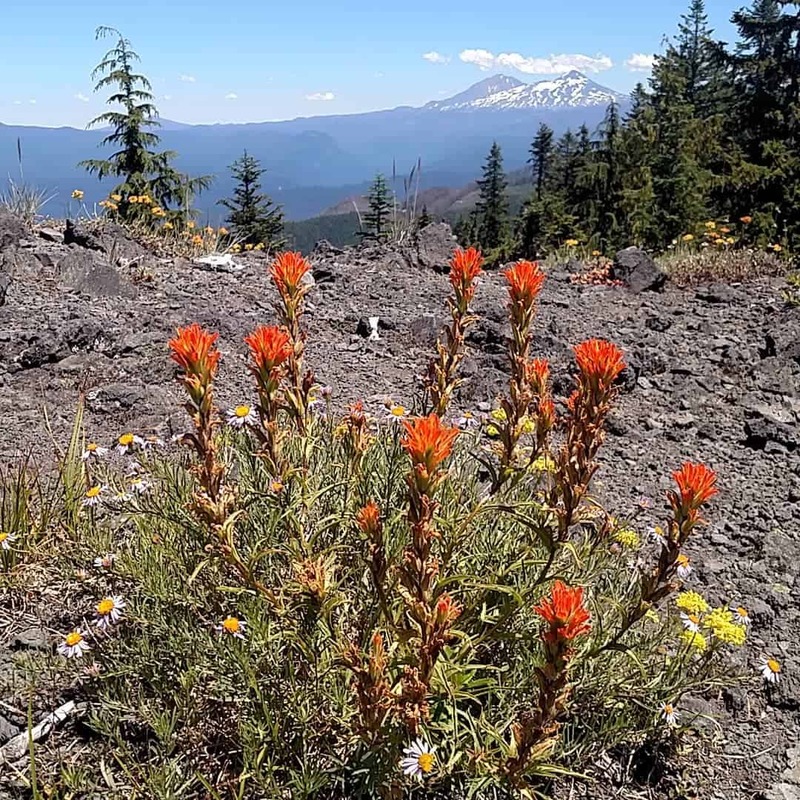 Though currently separated from Spencer Butte and other sections of the Ridgeline Trail System, future plans involve linking Wild Iris Ridge into the chain. For now adventurous hikers, trail runners, and mountain bikers make use of the various quiet backroads to bridge the gap. Why you should go: Rhododendrons galore near the University of Oregon campus. Replete with trails creating a nexus around the 12 acre rhododendron garden, Hendricks Park is the oldest city park in Eugene. This is a pleasant stroll through the woods and one of the most colorful hidden secrets the city has to offer. Students and visitors to the University of Oregon will find this to be a nearby refuge from the crowded campus byways. This leisurely stroll is adorned with park benches, restrooms, and drinking fountains. For a longer respite continue past the end of the Ribbon Trail where it link Hendricks Park into the rest of the Ridgeline Trail System. Why you should go: A living tree museum at its base and spectacular panoramic views at the summit. The 2,363 acre Howard Buford Recreation Area houses over 17 miles of trails covering Mt. Pisgah like a spider’s web. For a well-rounded first trek to the summit, I recommend starting at the north trailhead where you’ll find a numbered trail map. 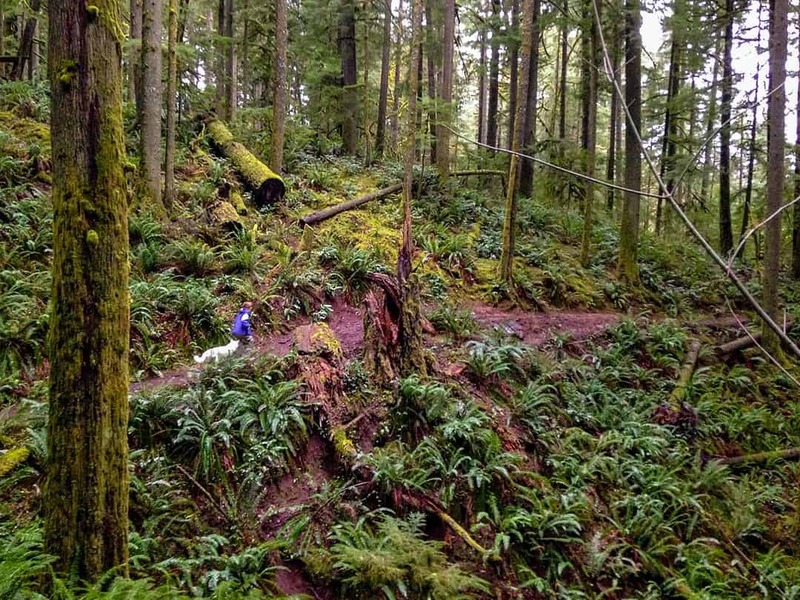 Kicking it off at trail #3 brings you past lush grassland overlooking the Willamette River. On the way to the peak the trail winds through a dark and serene fir forest. Once the view opens up to the farmland below, turn onto trail #1 toward the peak. A bronze relief sculpture awaits you at the top which displays the topographic layout and points of interest of the surrounding area. Turn down trail #6 and then back to #3 to complete your loop, or take a small side trip to the Mt. Pisgah Arboretum at the mountain’s base. The arboretum contains a number of its own trails through wildflower meadows and along numerous icy creeks. Take in the nature gardens, learn about the local ecosystems, and hike a few more miles! Why you should go: Pristine swimming holes and old growth forest. Do you have a family camping trip scheduled at Fall Creek Reservoir and need an escape? Take a long walk up Fall Creek. Hike up this gentle incline to witness countless small waterfalls and cascading streams as they plummet into Fall Creek. 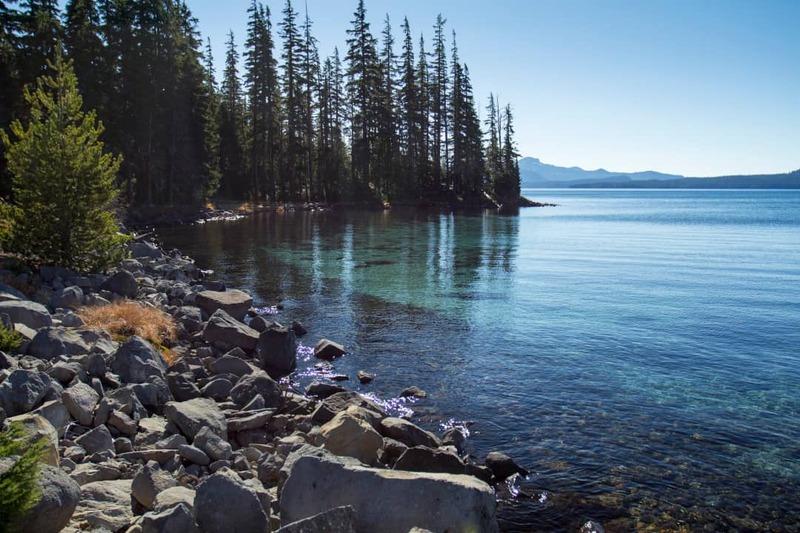 There is a lightly trafficked road across the water for the first few miles, a portion of the trail in which you’ll see families who have pulled over at the campgrounds and popular swimming holes. After the four mile mark that road crosses a bridge over the stream and you’ll often likely have much of the rest of the creek to yourself. Lush overgrowth hangs over the water creating intimate, picturesque moments of solitude worth cherishing. Despite some ice and snow, fall and winter hiking can be had along this creek as well. Just hug that creekside and you’ll never lose the trail. 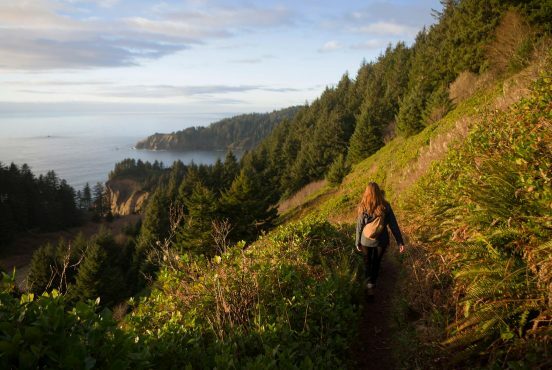 Why you should go: Summit the tallest peak in the Oregon Coast Range. At 4,097 feet elevation, Marys Peak stands as the queen of the coast range. Designated as a Scenic Botanical Area, this area is home to a variety of landscapes from rolling meadows to a unique noble fir forest. A chorus of birdsongs have guided me up this mountain on every trek I’ve taken so far. White-tailed kites chirp and hawks screech as they hunt high above the meadows. In the forest, the ethereal-chimes of varied thrush are contrasted by the cute, melodic chickadees and blackbirds. It is possible to drive nearly all the way to the summit, but hiking to the view makes it all the more glorious. 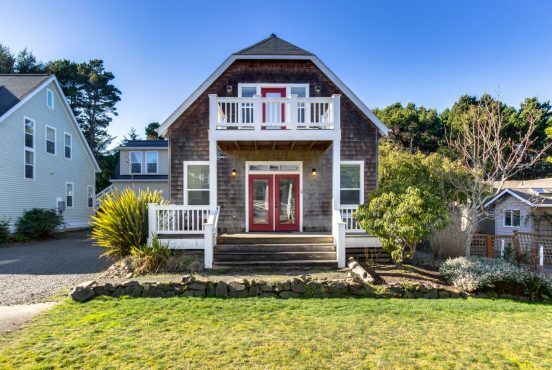 On a clear day you can see over the western mountains to the endless blue of the Pacific Ocean, and in the east you may even spot Oregon’s tallest mountain, Mt. Hood. Why you should go: Explore a piece of running history in Track Town USA. This section of trails in Alton Baker Park was set as a tribute to revolutionary University of Oregon athlete Steve “Pre” Prefontaine. Pre was an Olympic runner who shattered records and strongly advocated running as a way for everyone to pursue better physical and mental health. 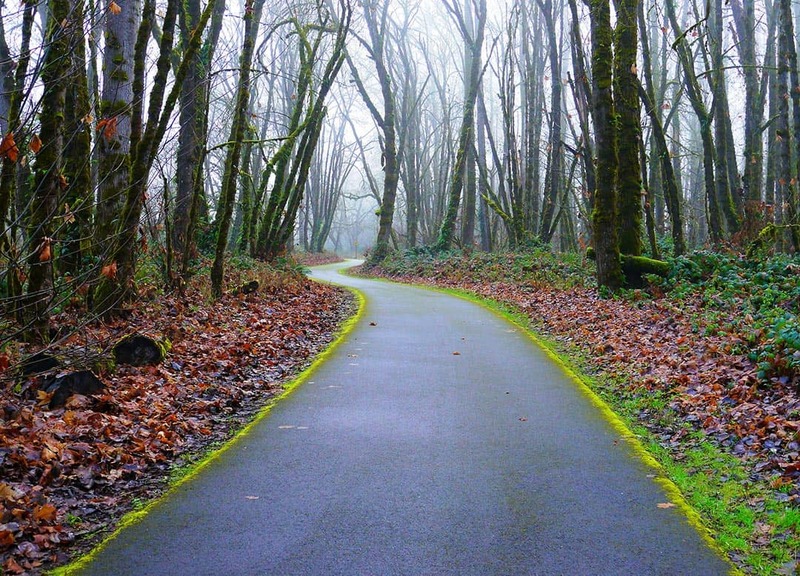 Situated across the Willamette River from the University of Oregon and adjacent to Autzen Stadium, Pre’s Trail is an easily accessible route that is flat and well-padded with wood chips for runners to enjoy. It also links into the Ruth Bascom Riverbank Trail System which follows both shores of the Willamette River for many miles. Why you should go: History etched in covered bridges, railways, and gold mines. This 14 mile paved multi-use trail was once the Oregon Pacific & Eastern Railway, an historic rail line created to transport gold and timber which later became a filming location for hit Hollywood movies such as The General with Buster Keaton and Stand By Me starring Kiefer Sutherland and River Phoenix. Now used by bicyclists, runners, and walkers alike — the Row River Trail begins in downtown Cottage Grove where it passes east through town toward its endpoint at Dorena Lake. Parking and restrooms can be found every few miles on the trail. 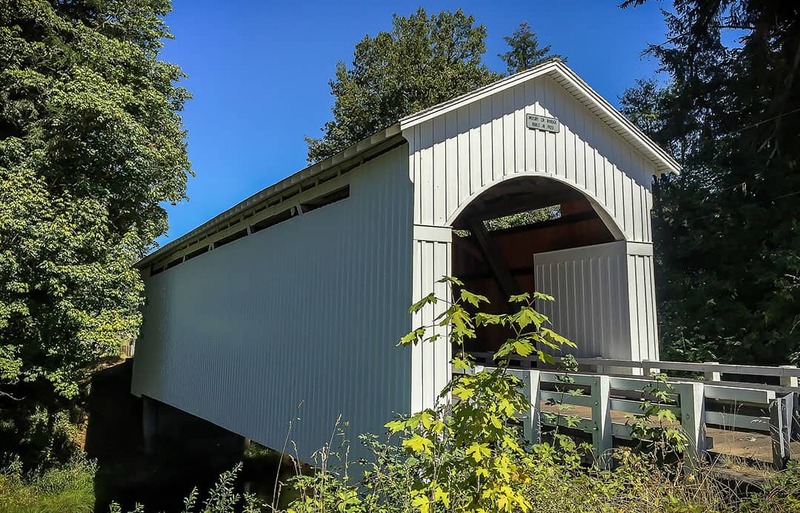 Following the Row River, you’ll travel through several covered bridges, past farmland vistas, and near abandoned mining areas. 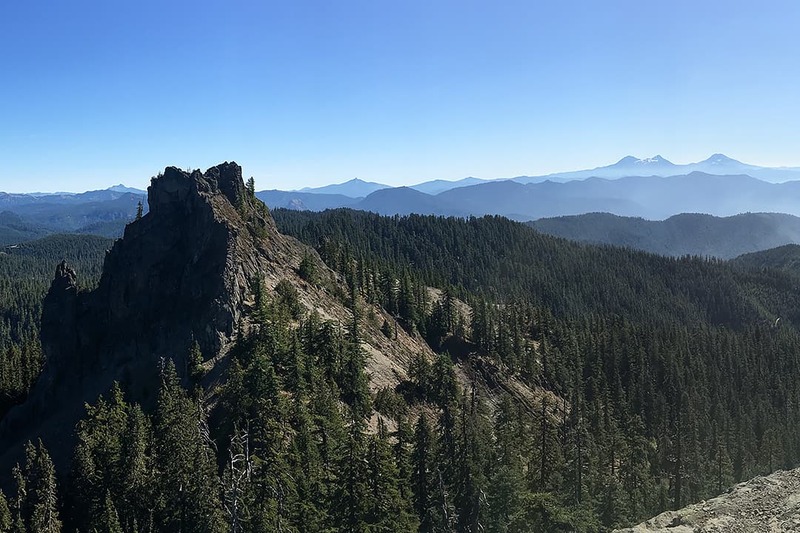 This trail serves as a great jumping off point for many other less-traveled trails that lead into the Umpqua National Forest. At the trail’s end you can continue on the trails around Dorena Lake or stop and go for a swim. Why you should go: Solitude amongst the Cascade mountain tops. 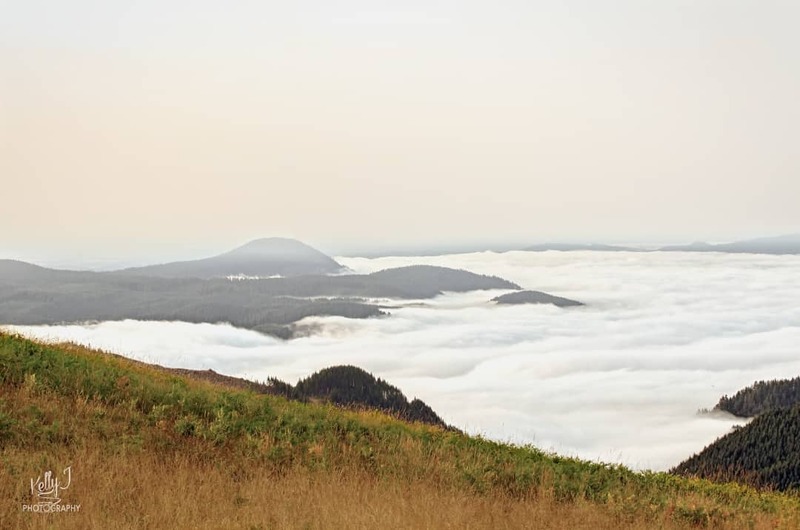 It’s quite a drive out to this remote peak in the Willamette National Forest, but if you’re in the mood for some alone time with outstanding views you’d be hard-pressed to find a better spot near Eugene. I recommend approaching this trail from the Blue River access. Blue River itself is a great spot to swim, fish, or camp, and the drive up to the trailhead is breathtaking in and of itself. After a few miles of dirt road you’ll reach a very steep gravel road for the remaining .2 mile stretch to the trail. If you feel uncomfortable driving your car up this rough bit, don’t fret as there is parking below. Just walk it! The trail is a moderate incline through old growth forest. Yellow jackets may nest along the trail during the summer. I was stung once, and it hurt, but the hike was still worth it. To reach the peak there is a small bit of rock scrambling at the top. The summit is a flat cement foundation which once held a fire lookout — now it makes for a fantastic picnic spot. The view here is one of my favorites. The Cascade Range panorama is astounding. If the weather is right you’ll be treated to the glacial peaks of The Three Sisters, Mt. Hood, and Mt. Jefferson as well as nearly every other recognizable Oregon Cascade peak. Why you should go: Hard hiking is its own reward and you want a workout. Dense, damp forest is all that awaits you up this steep hike, and it’s quite a climb up the ridge with nary a switchback. In a way this trail is the epitome of western Oregon. 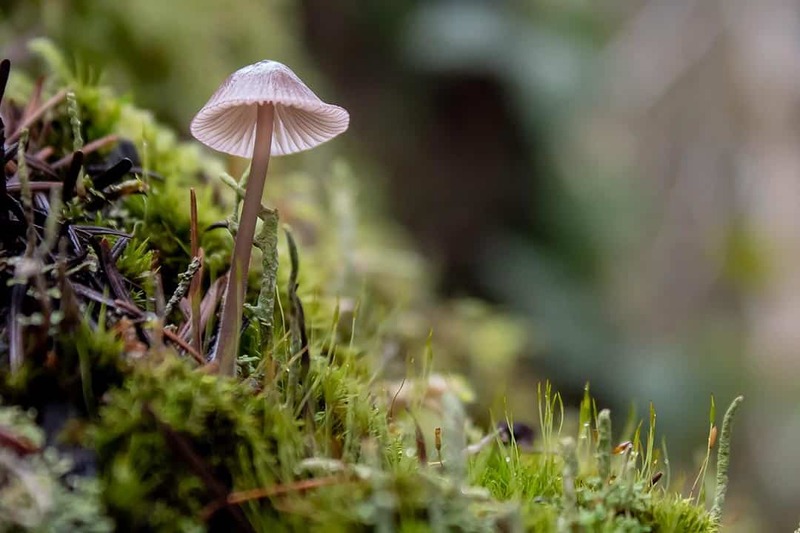 It showcases how wet the forest can get, but that moisture results in an abundance of plantlife. You’ll see Oregon grape, wild rhododendron, blackberries, blueberries, huckleberries, salmonberries — the list goes on. Be careful not to step on a newt! There are remnants of an old fire lookout at the peak, but don’t expect a view as the trees have grown to tall to see much of anything. Why you should go: Cliffside meadows flush with wildflowers and small critters. Located within the Shotgun Creek Recreation Area, Horse Rock Ridge is designated as an Area of Critical Environmental Concern and a Research Natural Area. The sensitive landscape is easily disturbed. Vibrant meadows hold desperately to the rock face on the steep drops from the ridge. Visitors, please stay on trail and tread carefully. Plenty of deer, rabbits, and twittering birds call this beautiful place home. You’ll likely spot a few on your trip up the ridge. There is a small cave and large boulders to explore at the peak. 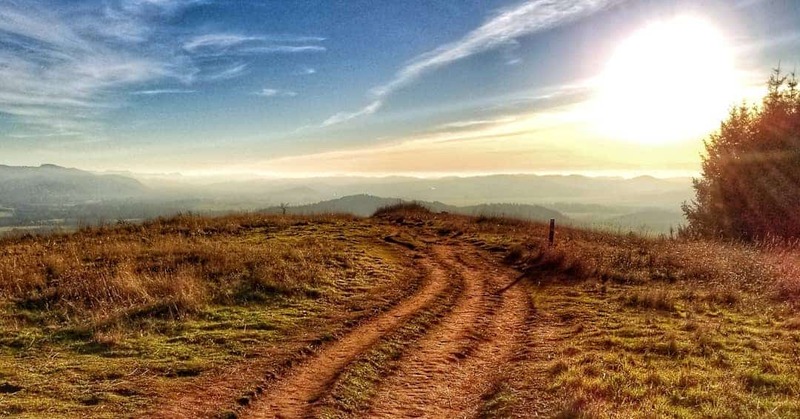 Wonderful views of the Willamette Valley and Cascade Range can be enjoyed for most of the hike. Expect to hear some noise as below the ridge is a popular off-road vehicle area and hunters take advantage of the nearby hills during hunting season. Why you should go: Tumbling waterfalls and moss-covered everything. 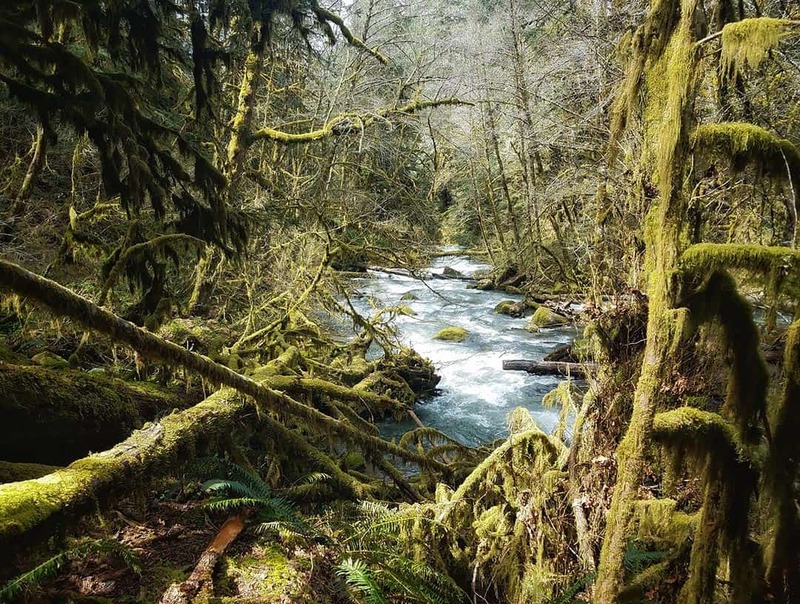 The enchanting Alsea Falls Trail System rewards explorers at every turn. 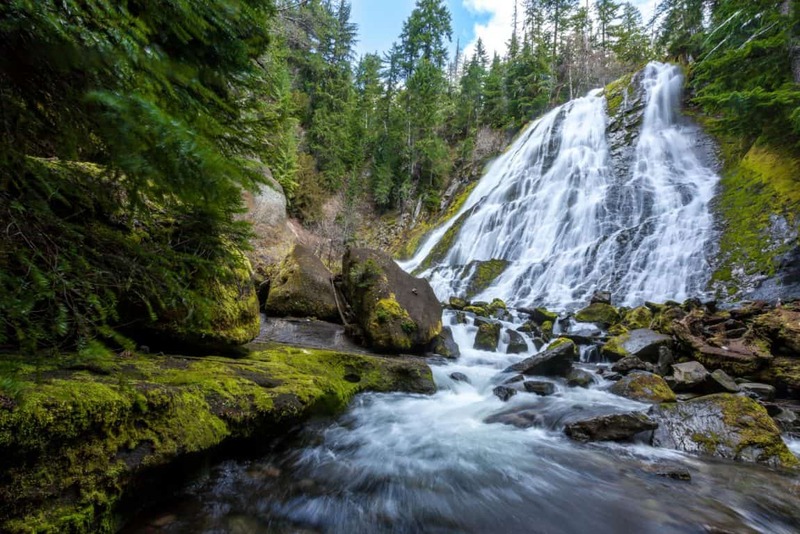 This specific loop shows off the majestic Alsea Falls, which also make for a good summer swimming hole, and the cascading Green Peak Falls. Show up during the seasonal salmon run to see the silvery fish swim upstream and leap up the falls. Witness every shade of green from sunlit moss to deep forest along this easy trek through old and new growth forest. Though the falls see a lot of foot traffic, it’s easy to find a romantic nook just a few paces off the beaten path. Feeling adventurous? There are over 12 miles of trails to explore here and a campground for those looking for an extended stay. Why you should go: A riverside walk through hazelnut orchards and a historic farm. 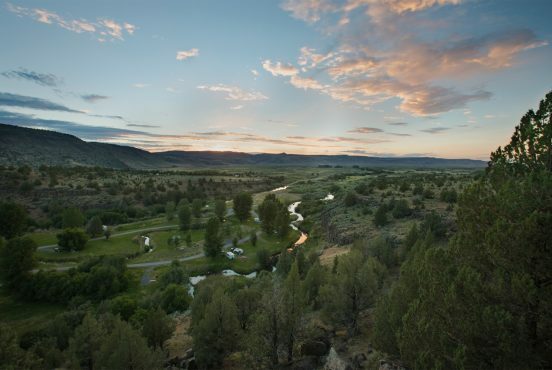 Dorris Ranch is a National Historic Site set across the Middle Fork Willamette River from Mt. Pisgah. This “living history farm” is open to the public to explore. An old wooden cabin and shed sit adjacent to a grove of hazelnut (AKA filbert) trees. Rusting farm equipment decorates the landscape, but the orchard is still in operation. Loop around the orchard for an easy stroll ripe with a variety of flowers and fungi to see. The loop also serves as an access point for the paved 4-mile out-and-back Clearwater Path which follows the river. 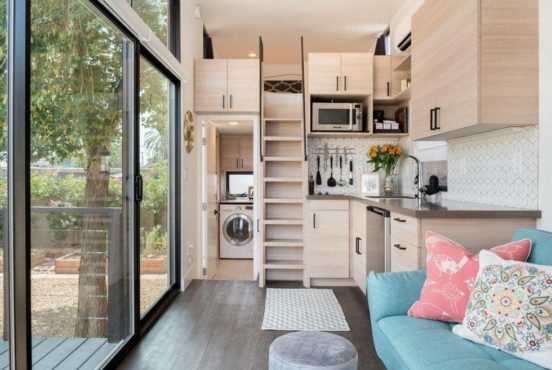 Why you should go: An escape near downtown with views of the city from above. Smack dab in the middle of town, Skinner Butte is ideal for a quick run or hike during your lunch break. Named after Eugene Skinner, the founder of Eugene, the butte serves as a municipal hub for residents of the city. The historic site of Skinner’s cabin can be found here, as well as the ruins of several other stone structures. On the butte you can also find a giant “O” emblem representing the University of Oregon and a not-so-giant “E” representing Eugene High School. 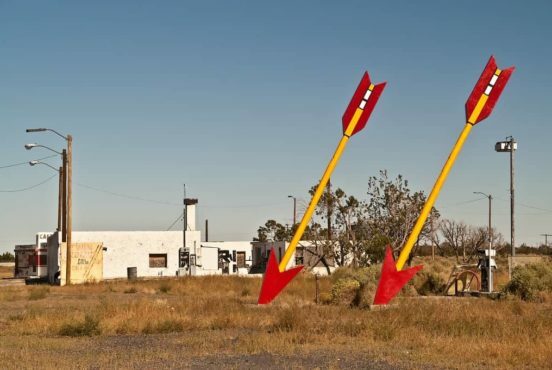 These and other local touches make exploring the butte’s network of trails all the more fun. Downtown and the University of Oregon are visible from the butte’s peak. At its base the park has a playground, grassy fields, and trails which bleed into the Ruth Bascom Riverbank Trail System along the Willamette River. Why you should go: Downhill mountain biking paths are separated from hiking trails. This 665 acre parcel of land in neighboring Springfield was set aside for recreation and habitat restoration in 2017. Several miles of trail are currently open for public use with many more miles currently being constructed. At the trailhead is an odd looking contraption fitted with all sorts of hoses, nozzles, and brushes. No, it’s not for cleaning your muddy boots, but for mountain bikes. 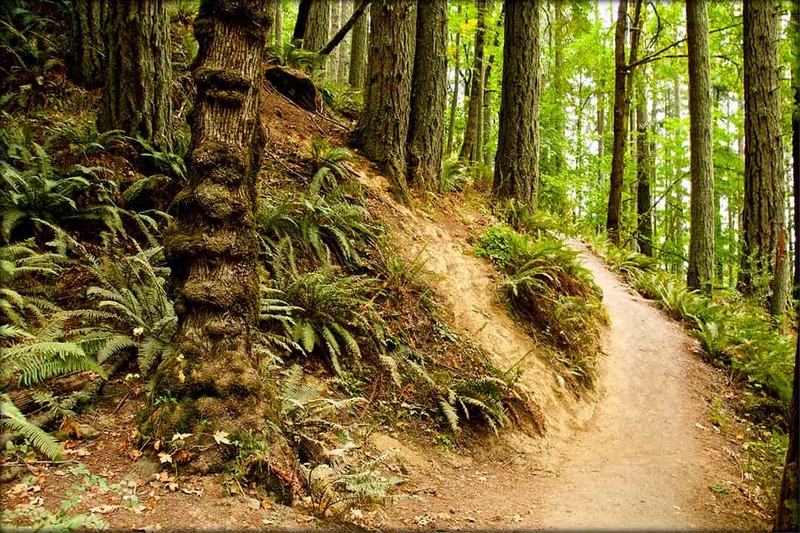 In an all too uncommon occurrence, the planning team for Thurston Hills had the foresight to layout several downhill mountain bike paths separate from the hiking trails. This has removed the stress on all involved recreational parties. Instead, hikers can enjoy watching bikers zip through the trees on their own trails and bikers need not worry about hitting an inattentive hiker. The first mile from the trailhead is a meandering uphill set of paved switchbacks which then gives way to a steeper dirt trail. Clearly marked signs inform hikers and bikers which paths to take and where to watch for cross traffic. There is plenty of nature to behold on current trails, and more will soon be on the way! Why you should go: Mesmerizing waterfalls, log bridges, old growth forest, and lava fields. Awarded #1 Best Trail in America by Bike Magazine and reaching countless top 10 positions in other such lists, the McKenzie River Trail is a spectacular treat just east of Eugene. Many brave adventurers conquer this trail downhill from start to finish in a single day by bicycling or running, but that doesn’t mean you should feel rushed. There are over a dozen access points to this trail, each with its own particularly beautiful segment. High in the Cascades you will find vast lava fields and the headwaters of the McKenzie river. Downhill from there, as water starts to gather, the trail winds past multiple lakes and powerful waterfalls. The trail grade flattens near the lower portion where parks and campgrounds hug the shoreline of the widening river. If there is one trail you spend some time on outside of Eugene, make it the McKenzie River Trail. Why you should go: Rare views high above the McKenzie River Valley. To see the McKenzie River from above, this is about as good as it gets. A moderate incline through a conifer forest makes for a good workout, and the views at the top are spectacular. Interesting rock spires and an uncommon viewing angle of The Three Sisters make this peak a unique spectacle worth visiting. This trail also serves as a gateway into the O’Leary Complex, a system of world class mountain biking trails that is open to hikers and bikers alike. Why you should go: Wetland wildlife and migratory birds. 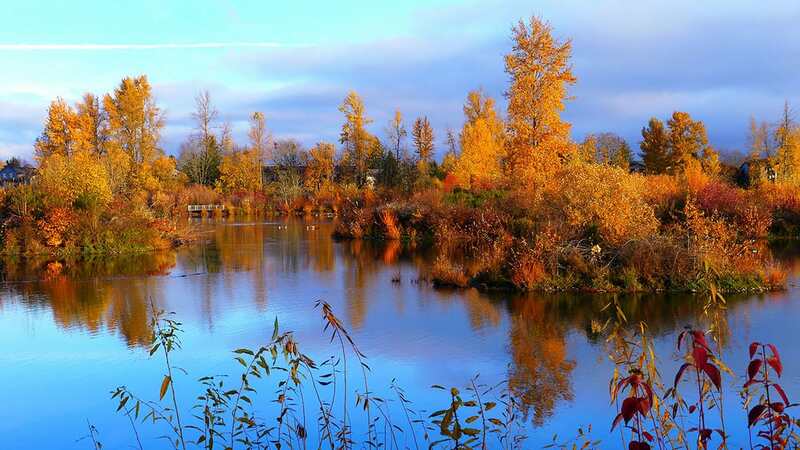 Right in Eugene next to the Valley River Center mall, Delta Ponds is a protected 150 acre wetland and riparian area ideal for observing local wildlife. Urbanization destroyed the slough and water channels that originally existed in the area of the ponds. When nearby Interstate-105 and other roadways were being constructed the area was harvested for its gravel, causing large ponds to form. In 2004 the City of Eugene put in motion a large-scale effort to restore the wetland habitat and connect it as a side-channel to the Willamette River once again. Linked to the Ruth Bascom Riverbank Trail System, Delta Ponds can be enjoyed as an easy stroll or joined with other trails to make for a longer journey. 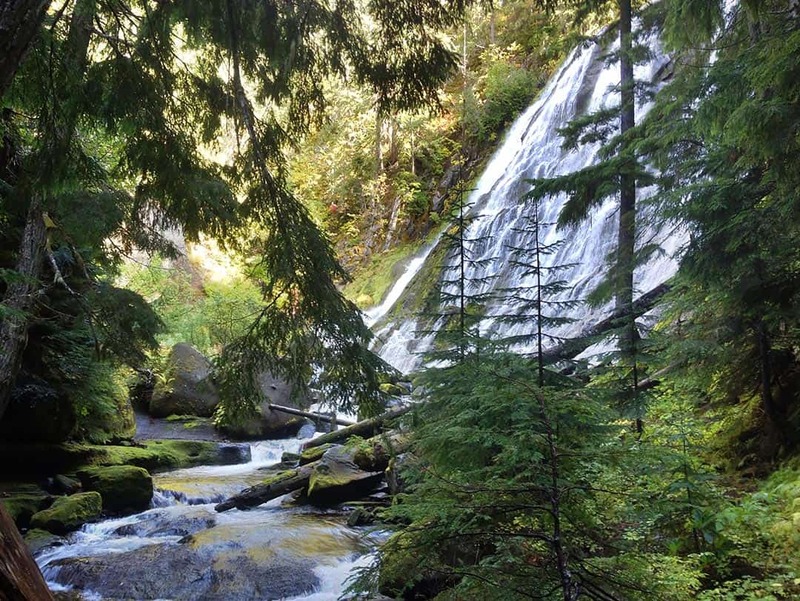 Why you should go: See the second-tallest waterfall in Oregon from above and below. Not only is it really tall, but Salt Creek Falls is my favorite waterfall in Oregon. It’s stunning. You can simply park at the observation parking lot and witness Salt Creek Falls only a couple hundred yards from your car if you’re short on time, but the hike will not disappoint. Starting at the footbridge to Diamond Creek Falls, this trail skirts the canyon rims of Salt Creek and Diamond Creek. Yes, it’s as breathtaking as it sounds. Continuing on the trail passes by my favorite lake name of all time, the nefarious sounding Too Much Bear Lake. 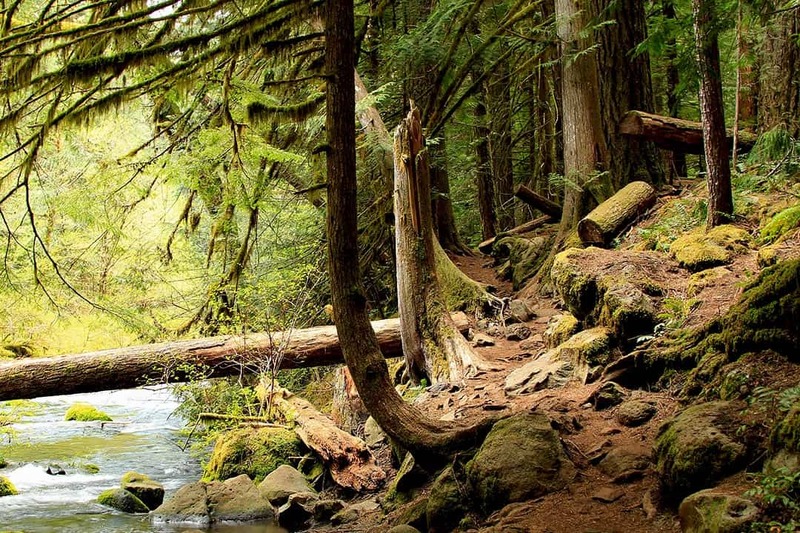 Complete with log stairways and a cedar footbridge, this is just one awesome trail. A side trail from the Salt Creek Falls observation platform takes you to the base of the falls. It’s slippery down there, so be careful, but you’ll gain a whole new perspective that is simply must see. 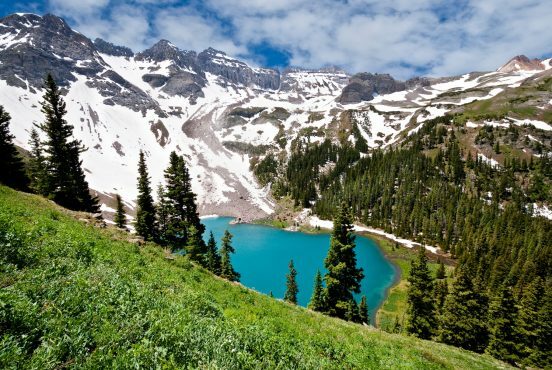 Why you should go: Alpine lakes and a shelter along the Pacific Crest Trail. We’re getting up there now. At over 7,000 feet elevation, Maiden Peak is certainly high up in the Cascades. Starting near the town of Oakridge the trail ascends at a moderate grade offering clear views of the nearby countryside. Soon enough you’ll come across the Pacific Crest Trail with a sign pointing you toward Maiden Peak. If you’re already putting in this many miles I suggest that the short side trip to the Rae Lakes would be well worth your time. These lovely alpine lakes are worthy of a visit on their own, and make for a good camping option. At Maiden Peak there is a cabin to use as you may any time of year, though if you plan to spend the night you can expect to have company. There is a fireplace and a woodpile that should be stocked through winter. I would recommend finding a place to camp elsewhere unless you snowshoed in during the cold months. You’ll have mountain vistas in every direction and a clear view of Waldo Lake below. Why you should go: You’re an adventurous trailblazer and pathfinder. 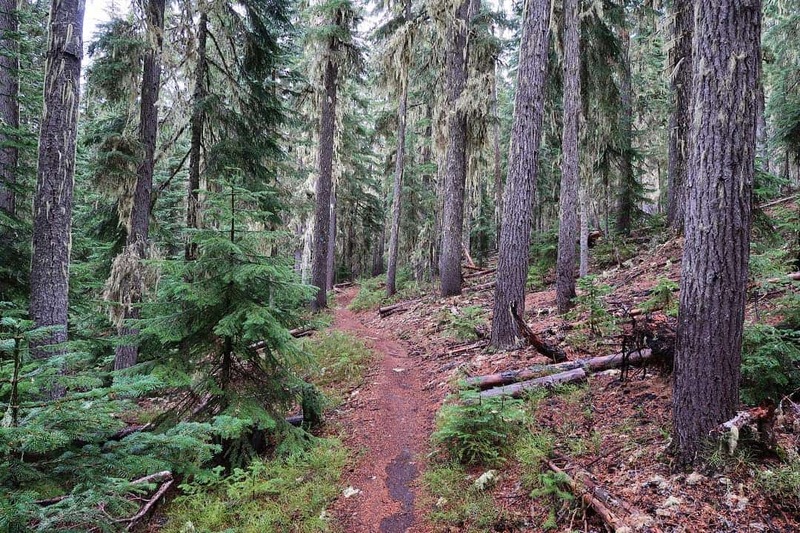 There is a route beginning at Skinner Butte in Eugene that makes its way all the way up to the Pacific Crest Trail through the Waldo Lake Wilderness, though it’s not fully completed. Technically this trail did “open” back in 1994, but it’s an interconnected series of trails and road walks with an understated “find your own way” self-reliant attitude attached to it. One of the toughest trail challenges in the Eugene area to be sure, but it is official and doable. I’ve seen the trail markers, and I’ve had lunch at the trail junction on the Pacific Crest Trail (where a gray jay stole my Snickers bar! ), but I haven’t yet attempted the full ECT myself. Though this may never end up on your to-do list you may enjoy reading about it and learning what trails it consists of, some of which are on this list. 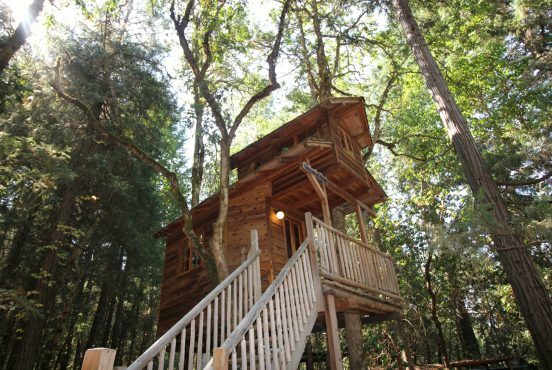 Looking for more places to explore in Oregon? 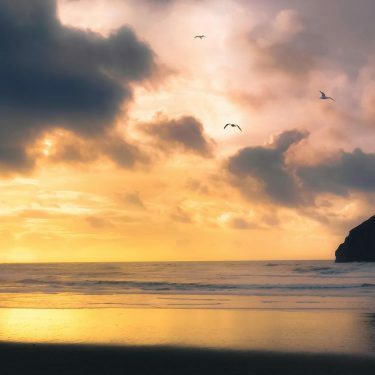 Check out our guides on Oregon Coast hiking, the Oregon Coast Trail and Oregon coast cabin rentals.